We define local as being grown or produced within 100 miles of Ithaca. 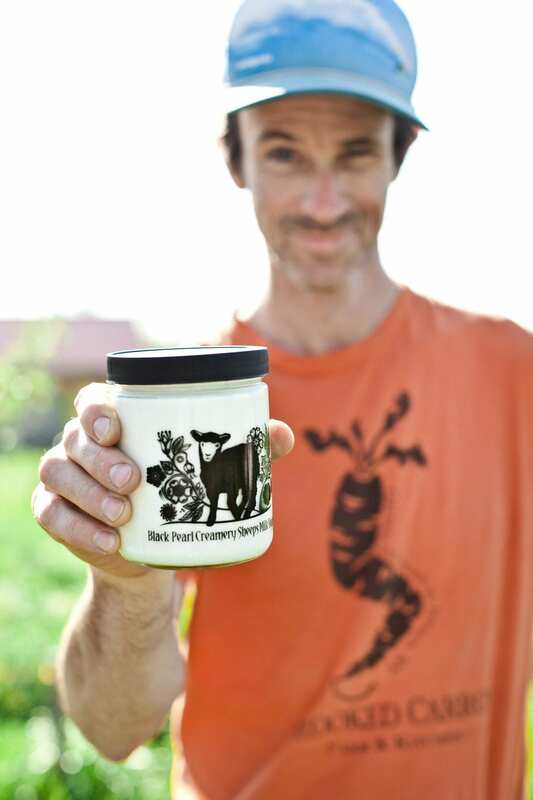 Finger Lakes Farms (Ithaca, NY) – Finger Lakes Farms supplies us with Ithaca Milk yogurt and milk, Meadow Creek eggs, and also bring us Red Jacket juices, Hawthorne Valley fermented goods, Grassland chicken and beef, and Bootleg Bucha kombucha. Kevin from Black Pearl Creamery. The Blue Heron Farm crew making a delivery. Blue Heron Farm (Lodi, NY) – vegetable seedlings, greens, cucumbers, root vegetables, etc. Aaron, Kara, and Lena from Plowbreak Farm. Silas from Crooked Carrot making a delivery to our Collegetown store. Abner from Argueta’s sampling coffee at our West End store.